Après quelques jours d’acclimatation à Perth, nous avons pris la direction du Nord de l’état pour aller voir le vrai coté de l’Australie, à la rencontre de l’outback. 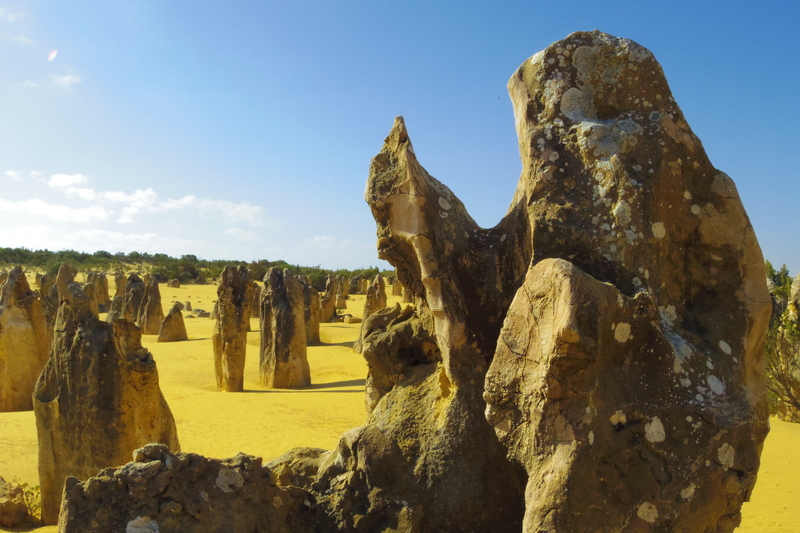 Nous avons décidé de commencer notre périple par le parc national de Yanchep, situé à 42 km au nord de Perth. Nous y avons vu pour la première fois des koalas et avons décidé d’y rester pour pique-niquer. 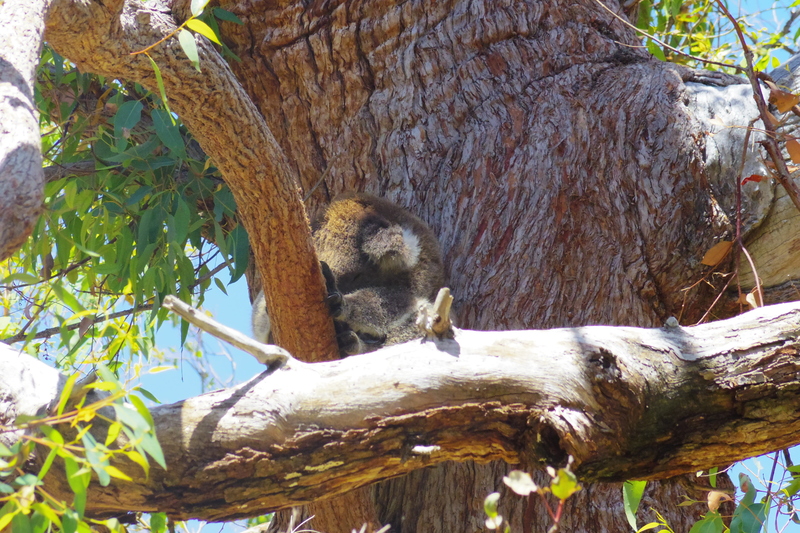 Pour l’anecdote, le koala dort environ 19 heures par jour et ne boit pas d’eau, sauf en période de grande chaleur. En effet, il se nourrit exclusivement de feuillage d’eucalyptus, les feuilles contenant suffisamment d’eau pour le désaltérer. C’est donc pour cette raison que, dans la langue aborigène, « Koala » signifie « qui ne boit pas ». 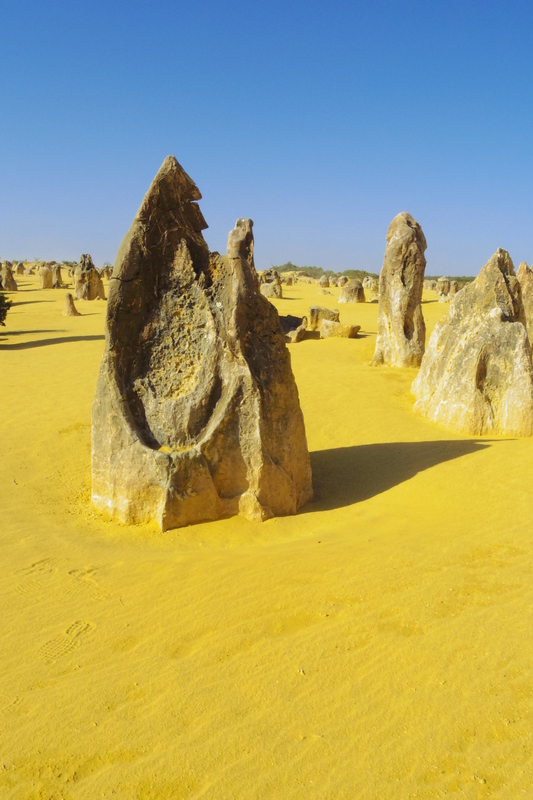 After a few days in Perth, we headed North to the state to see the real side of Australia, to discover what the word « outback » means. In 10 days , and after traveling more than 3,500 kilometers , I realize that I have lived a great journey, and most of all, I have lived and shared this journey with my family. I also realize that we were lucky to not have any accidents on the road. Indeed, we met few kangaroos , emus and lizards crossing the road unexpectedly a few meters in front of the car. 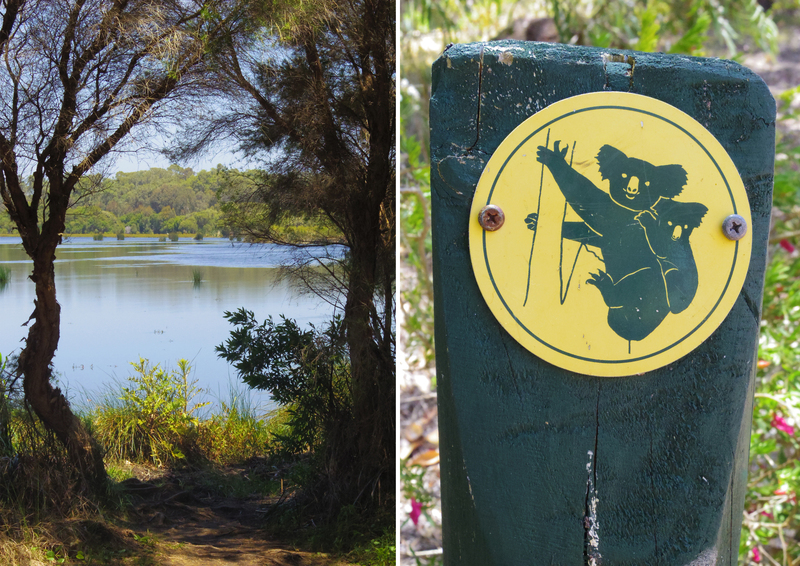 We decided to start our journey by the Yanchep National Park , located 42 km north of Perth. 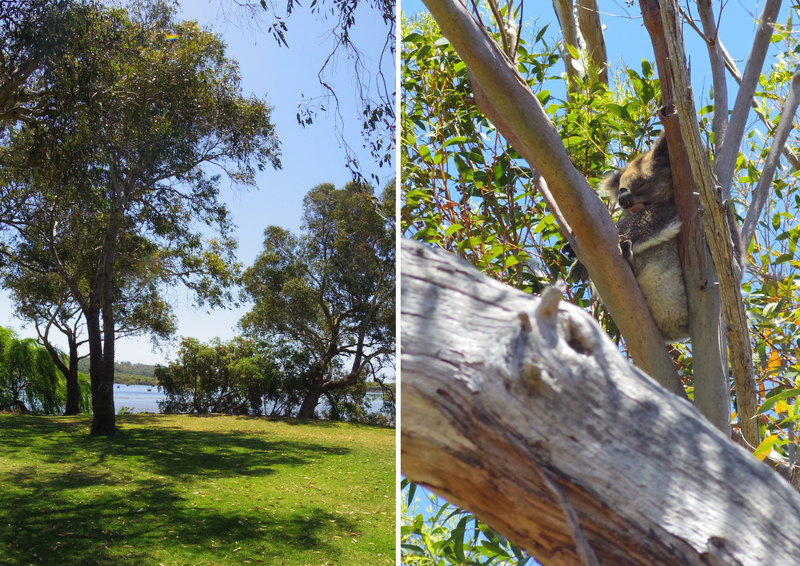 We saw for the first time koalas and decided to stay there for a picnic. 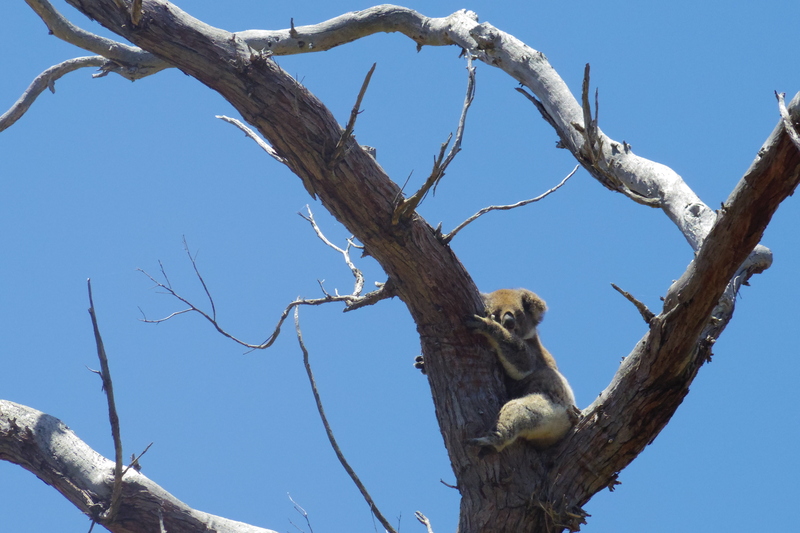 For the record, koala sleep about 19 ​​hours a day and don’t drink water, except during periods of high heat. It feeds exclusively on eucalyptus foliage, which has enough water in its leaves. That’s surely why, in the aboriginal language, « Koala » means » does not drink » .